Survival is about a lot of things, but having food and making sure you can keep finding food in the event of prolonged survival situations is critical. You could be as macho as Han Solo on Hoth, but you’ll still need some know-how in order to survive. Luckily, these tips don’t involve slicing open a tauntaun with a lightsaber in a blizzard. 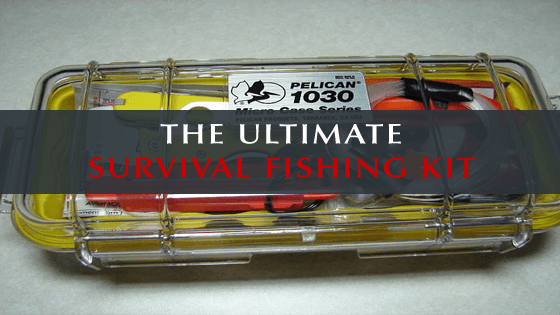 The following is some of the gear you’ll need in order to put together “The Ultimate Survival Fishing Kit” that will bring you fish in any survival situation. Fish is a great food source, and if you can consistently bring food back to camp, your survival situation has immediately become that much easier. After we discuss gear, we’ll discuss fishing tactics that won’t ever let you down out in the wilderness. This is an area that can be a bit subjective, depending on who you talk too. The purist fly fisherman will state that only flies tied from things found in nature itself will do, while guys pulling big fish out with worms will obviously give props to their simple and age-old method. When it comes to survival, though, you’re going to want something that will be reliable and relatively less work. For that, I’d recommend having a few different sets of tackle readily available in your survival fishing kit. Bait hooks, sizes 12-4: Bait hooks are made for holding worms, and having a variety of sizes will help you throw to a variety of fish. If you can see smaller fish swimming around, use a smaller hook. If bigger fish are present, use the larger hook. Treble hooks, sizes 16-12: Treble hooks have three prongs and are made for holding solid baits such as salmon eggs and Powerbait. Baits: Powerbait is a staple in the bait community, and having a few cans of the rainbow and sherbert varieties will be a solid bet in making sure you’re able to catch plenty of fish. Plastic bobbers: These come in a standard size, are usually clear, and fill up with water in order to place your baits in different areas of the water column. Barrel swivels sizes 12-14: Small gold clasps that tie on to the end of a fishing line, allowing you to snap lures off without having to tie a new knot every time. Now, in survival fishing, you’ll want to make sure you get as many lines in the water as possible. 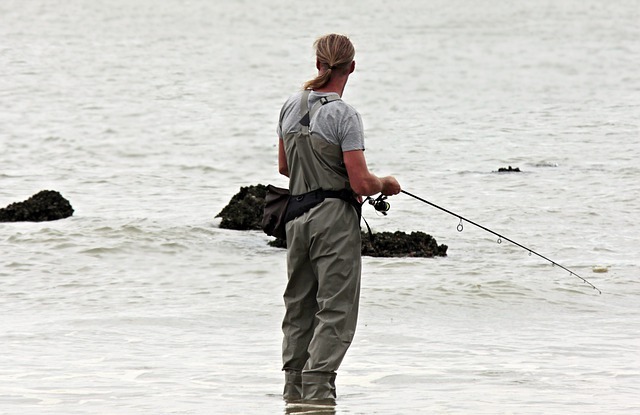 If bait doesn’t seem to be the trick, using spin tackle is another solid option. Spinning lures imitate small baitfish in the water, and also serve to anger fish and provoke strikes based off a territorial response. Mepps Spinners, sizes 0-2: Mepps makes some of the best spinners around, and throwing a few of their classic gold and red spinners in your box can make all the difference when fishing in a survival situation. 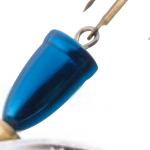 Blue Fox Spinners, sizes 0-2: Blue Fox is the leader of the spinning community in terms of lures, and their Super Vibrax lures are deadly on trout. Tube Jigs, 1/16thoz-1/8oz: Jigs imitate dying or distressed baitfish, and provoke strikes based on a predatorial instinct from larger fish. Now, with tackle covered, let’s move on to other supplies. You’ll need a decent rod, something small and light. Ugly Stik makes fabulous rods that are lightweight, extremely durable, and easily packed around. Combine that with a standard fishing reel and 6-pound fluorocarbon fishing line, and you’re set. Now, let’s move on to fishing tactics. When fishing for survival, your goal is just to get as many fish as quickly as possible. The art of fly fishing or the trickery of jigs doesn’t matter as this point, because staying alive is what matters. When using bait, you can adjust the amount of water in your bobber to determine where your bait sits in the water column; fish move around all day long, so if you’re not getting bites at one depth you can easily try another. As for spin fishing, try retrieving your lures along rocky shorelines, or anything else fish could use for cover. Fish love structure in the water, and will gravitate towards it as logs, rocks, or weeds help offer them protection from larger predators. Fishing in these areas with flashy spinning lures will almost always produce a fish. With normal fishing, expending lots of energy doesn’t matter because it’s not a survival situation. Survival fishing, however, means that you’re really in a life-or-death environment. Bait fishing is the most preferable method for survival fishing because it involves expending a very low amount of energy. All you have to do is bait the hook, throw the line in the water, and wait. Setting up shop in the shade under trees is also something which is highly recommended, because you don’t want to spend more time out under a hot sun than you absolutely have too. Given that most of these items in your epic survival fishing kit are small, you can buy a relatively tiny tackle box to store all of your gear in, meaning you’ve got a lightweight solution readily available for getting food in survival situations. Fishing is by no means the only way you should hunt for food, either. The important thing with survival is to remember not to limit yourself, and to think outside the box. Over time, you may find a few items that fit great into your fishing box like don’t forget a filet knife – don’t hesitate to put them there! Experimentation is what got us humans to where we are right now – writing and reading about survival as opposed to tending our crops! Did you like this article? Have some tips of your own you’d like to share? Feel free to leave a comment and share this post on social media! Hey, thanks for using my video. I had a lot of fun making it.